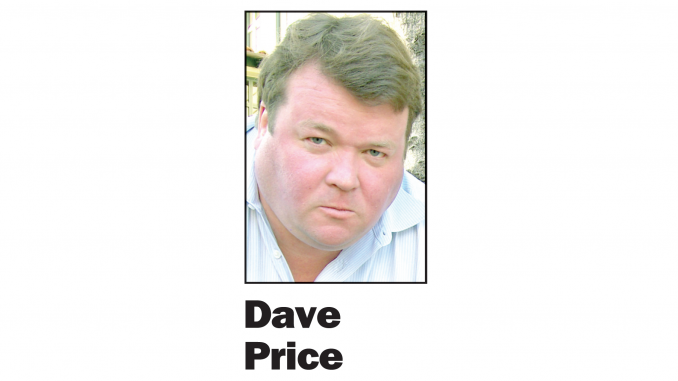 HomeOpinionOpinion: Why a ‘closed door’ meeting on housing policy? The forum is set for Jan. 25 at LinkedIn in Mountain View. “We are intentionally limiting this closed-door conversation to no more than 150 Bay Area leaders, of which half are private-sector CEOs/C-suite officers, who share our commitment for action to help alleviate our housing crisis,” Guardino wrote in his invitation. Why should a forum to discuss the housing crisis be “closed door”? Isn’t this a public issue? Why would this kind of discussion be kept from the people it would affect? The “closed-door conversation” is sponsored by Facebook, AT&T, the Metropolitan Transportation Commission (a regional body that doles out transportation funds to cities), and two players in the real estate development industry, Republic Urban and Stryker. Then I noticed that the two featured speakers were legislators who have been pushing for dense housing near transit routes: Assemblyman David Chiu and state Sen. Scott Wiener, both Democrats from San Francisco. Last year, Wiener’s unsuccessful Senate Bill 827 would have allowed developers to bypass local height and density laws in order to build five-story apartment buildings near bus and train stops. While SB 827 died, he’s back with a new version, SB 50. The issue of local control is crucial here. Who do you want deciding whether big buildings should go up in your town? A City Council that you elect or the state Legislature, which includes just two people you elect? And how do you get more housing in your town, where rents are outrageously high, if your council responds to the residents who already have homes in the community and doesn’t care so much about the plight of renters? One of the people who got Guardino’s invitation was Los Altos Mayor Lynette Lee Eng, who is afraid that bills like SB 827 and SB 50 will take away local control over planning decisions. She’s concerned that the state is forcing cities like Los Altos to build more housing without considering the impact on schools, water supplies, sewer systems and transportation. Eng told me she’s going to Guardino’s closed-door meeting. “I intend to stand up for my constituents and represent them,” Eng said. She’s not the only mayor who’s against SB 50. Palo Alto’s Eric Filseth said SB 50 does nothing good. “Wiener’s showboat crusade against local government accountability is divisive, distracting and unhelpful; all it really does is stoke voter anger and mistrust at Sacramento, at a time we should be working together,” Filseth told me in an email Saturday. In other words, employers for the most part are expanding without providing more housing. “With the cost of a housing unit at about $500,000 — excluding land — only Big Tech can fund it,” Marriott said. She said that if corporations really want to fight the housing crisis, they should step up and pay for housing for their own employees, plus provide affordable housing for all the service employees who support them. “Want to bet the conference won’t end with that commitment?” Marriott asked me. All of this caused me to think about Carl Guardino. He’s head of a lobbying group that represents the valley’s biggest corporations. Starting in the 1990s, Guardino has headed tax-increase campaigns for transportation projects, like bringing BART to San Jose. To me it seems like his job is to spare his corporate clients from having to pay for those projects by getting the voters to increase regressive taxes, such as the sales tax. Why should Google or Adobe pay when they can send the bill to the little guy? Guardino also has a lot of clout in the valley. Over the years, I’ve been surprised to see the Palo Alto City Council reserve an hour for him to talk about a new tax he’s promoting. But the average resident at the same hearing will only get three minutes. I reached out to Guardino to get his take on this. I got an email back from the leadership group’s vice president for communications, Kimberly Ellis, who explained Guardino was ill last week and she would answer my questions. Since big business wants to help now with housing, I asked what Guardino thought about the idea of requiring employers to build one home for every job they create. Well, there’s a new idea for the “Housing Solutions Forum” to talk about. By invitation only, I would like to invite you to participate in our Friday morning, January 25 Housing Solutions Forum – graciously hosted by Leadership Group member company LinkedIn at their Mountain View office. We are intentionally limiting this closed-door conversation to no more than 150 Bay Area leaders, of which half are private sector CEOs/C-Suite Officers, who share our commitment for action to help alleviate our housing crisis. The first half of our time will be focused on the housing development opportunities near fixed-rail transit stations – we have already secured the leads of five of the six major Bay Area transit agencies. 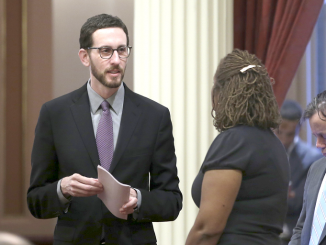 The second half will focus on legislative and local solutions – we have already secured key policymakers like Senate Housing Committee Chair Scott Wiener and Assembly Housing Committee Chair David Chiu. Registrations will be accepted on a first-response basis, as we are limited to 150 guests. To RSVP, simply respond to this email. Specific details will be provided to those that RSVP as we get closer to the Jan 25 Forum. We thank our early branded co-sponsors to-date and a special thanks to our gracious host, LinkedIn! Thanks to the generous support of our sponsors, there is no registration fee for the Forum. It will sell out, however, and RSVPs will be taken on a first-response basis. It sounds like Guardino is hosting a one-sided event with two proponents of eliminating local control. I guess this is how he thinks he can influence the elected officials who attend. I wish more were like Lynette Eng of Los Altos, who sounds like she won’t get pushed around. We need more housing, and these cities have been given years of chances and haven’t done much (except Redwood City and lately Mt View). It’s time to take away the “local control” that’s been abused and start housing the people who live and work here. I m glad to see this happening. SB 50 and CASA are just ways to funnel as much cash into the pockets of developers as possible. Guardino is the errand boy for these fat cats. Amen to that. Note however Ms Eng was lectured to about three weeks ago, by her fellow Council member, Ms Jeannie Bruins, on how to be conduct herself as a Mayor and not ask hard questions of (corrupt) City staff. See article reporting that in the Los Altos Town Crier. At the rate Guardino and others are going, the Bay Area would become yet another sprawl (like LA; I’d say we are 40% there already) or another dense NYC region, all built up and out…all this regulated by officials that don’t live in the local cities, are not elected by local residents…in short, what we would end up with is a totalitarian system with cities resembling the housing blocks in such totalitarian regimes. Let’s stand up and fight back to preserve our rights and have local control over what’s local! Who is Bruins to tell Eng how to conduct herself on city council? Bruins is the one who is taking all those trips around the world at the expense of taxpayers or lobbying groups.